The Groves wedding was an absolute blast! I could not ask for a more easy-going and sweet couple than Heather and Keegan. You could tell the anticipation has been building for this special day for a long while. 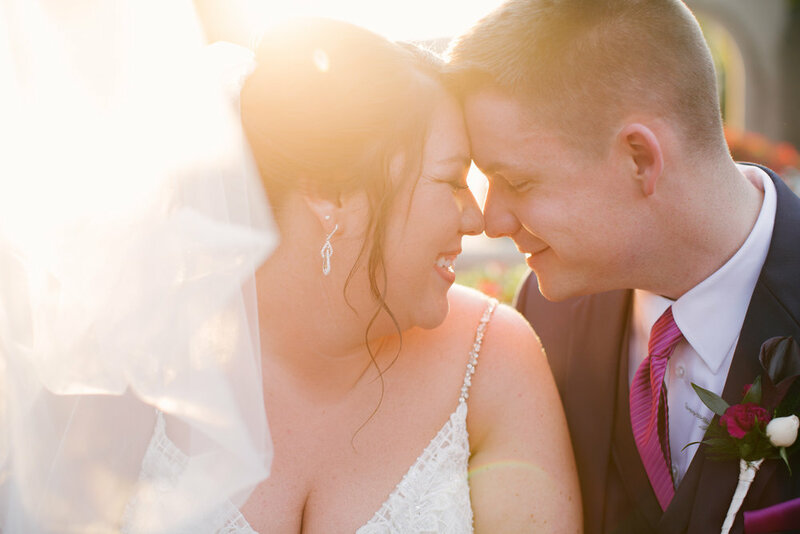 They put so much thought into all of the details of their wedding… everything from a detailed schedule of their big day, down to putting thought into the songs that would be played at their reception. My favorite part of Keegan and Heather’s wedding was the sentimental value they had in their venue. Keegan and Heather both grew up in Bloomington, IN and also went to school at Indiana University. These alumni have such a dedication and admiration for their former school, and it truly showed in their overall detailed plans for the day. Heather wanted to take bridal party photos at the iconic Sample Gates…Which I, of course, was thrilled about ✨The most special shots were taken around the gates- you’ll see a fun shot of them kissing and the bridal party jumping beside them! When I decided it was time to pop the question, I tried to think of something special that Heather had wanted to do, but that we hadn’t had time for in the past. I decided to pop the question at the Monument in downtown Indy under the circle of lights. It was a VERY cold and blustery evening when we drove up. I treated her to a nice dinner at a restaurant that neither of us had been to previously. Afterwards, I had a route planned for us to go down to the monument, where I would get down on one knee. I had planned for a big group of our closest friends to be in hiding so they could capture pics and run out after it was all over. It was picturesque, with spitting snowflakes and the city lights, but MAN was it cold! Afterwards, we, and all of our friends went out on the town and had a blast. What is your favorite date night? HIS Answer: Taking in a dinner in downtown Bloomington on a summer night on the patio and exploring afterwards. HER Answer: Progressive dinners downtown when it’s nice outside and we can sit on a patio somewhere! Or going on weekend trips exploring new cities. The proposal ALMOST didn’t happen. After all of the planning and time put into what I thought was the perfect plan, Heather wasn’t too keen on walking around after dinner. When we got outside after dinner, she was too cold, and didn’t want to go to the monument. I strongly urged her that it would be worth it, seeing the lights on such a beautiful evening. It took some convincing, but it was almost a BUST! MONTEGO BAY, JAMAICA!!!!!! For the best week ever in the sunshine at the beach. Your favorite part of wedding planning? Assembling the DJ playlist. That was a blast! I hope you are having the time of your lives in Jamaica! !